Several different restaurants and area businesses have been robbed between January and February of this year. These crimes have taken place all around the valley from North Rancho, Boulder Highway as well as several within the Southwest portion of the valley in the Enterprise Area Command’s jurisdiction. All of these robberies have taken place at different dates and times however we believe that these cases are all related based off of the suspect description. Some of these robberies have had one suspect or more suspects involved in committing the crimes. 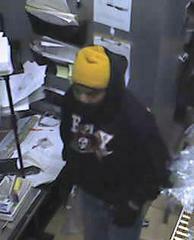 The Suspect(s) entered the business and take money from the registers, employees and customers. During the robberies the suspects have sometimes moved employees to another part of the business. If your business receives any suspicious or unusual phone calls at the business or employees observe suspicious persons in the area they are urged to call 311 and report the suspicious activity. 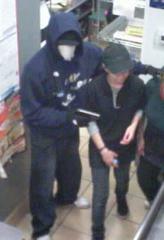 Robbery Detectives are requesting the public's assistance in identifying these dangerous suspects. 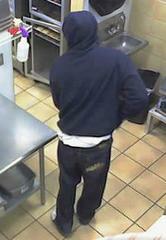 If you would like to remain anonymous you are urged to please call CRIME STOPPERS at 702-385-5555. A cash reward may be available to the person providing information which leads to the ARREST of the suspect or suspects in these robberies.